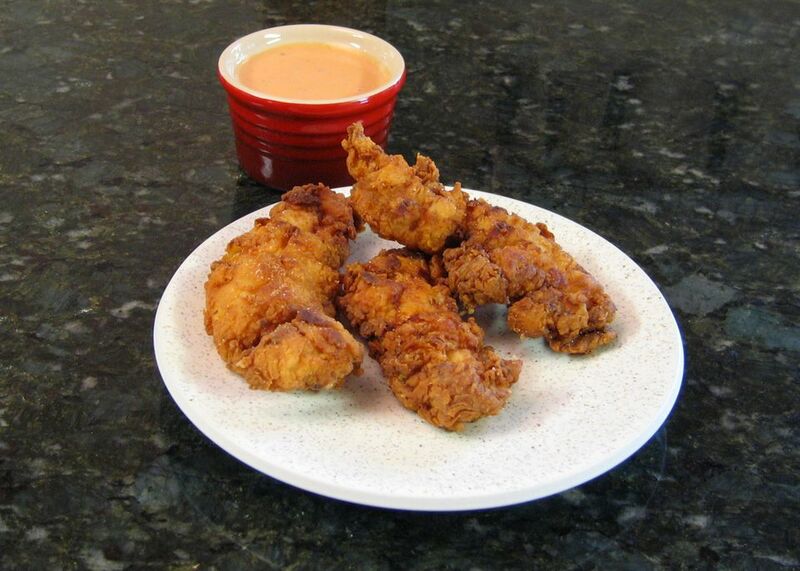 A buttermilk marinade makes these chicken tenders juicy, tender, and full of flavor. In a large food storage bag, combine buttermilk, 1 teaspoons salt, and 2 teaspoons Creole seasoning. Add chicken; seal and refrigerate for about 2 hours. Combine flour and remaining 1 teaspoon Creole seasoning in a food storage bag. Add the chicken and toss to coat thoroughly. Heat about 1/4 to 1/2-inch oil in a deep heavy skillet to about 350°. Fry several chicken pieces at a time. Fry, turning several times with tongs, until deep golden brown, about 6 to 8 minutes for each batch. Serve with Come Back Sauce, Jezebel Sauce, or Sweet and Sour Sauce.